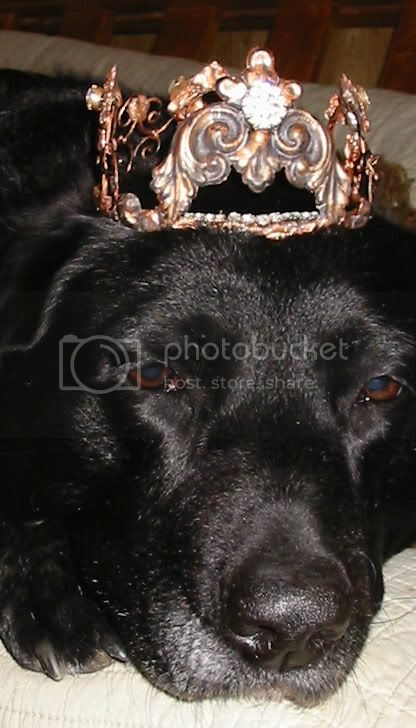 In honor of "Bella" eBay user name: izabellaalteredarts, I dedicate this here crown to her. She picked our theme this month for ZNE contest. She is a spectacular artist, always sends me into awe, so I created this piece by soldering together some found objects and them embellishing them with vintage rhinestones and jewels. 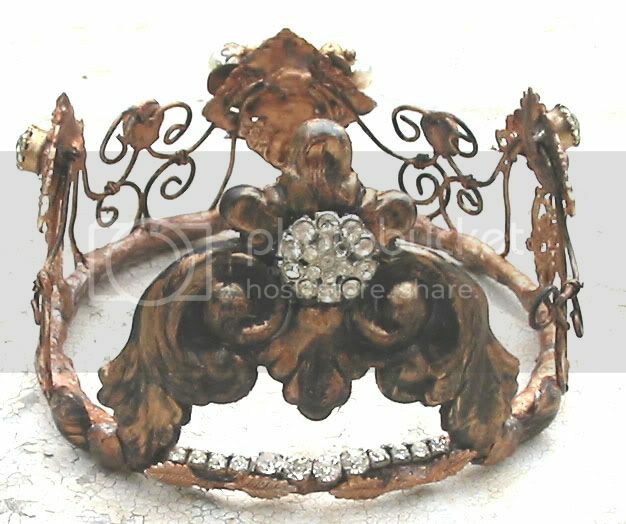 This is a petite crown, measuring approx. 12.5" in circumference. Highest point measures 2.5" and approx. 4" across. 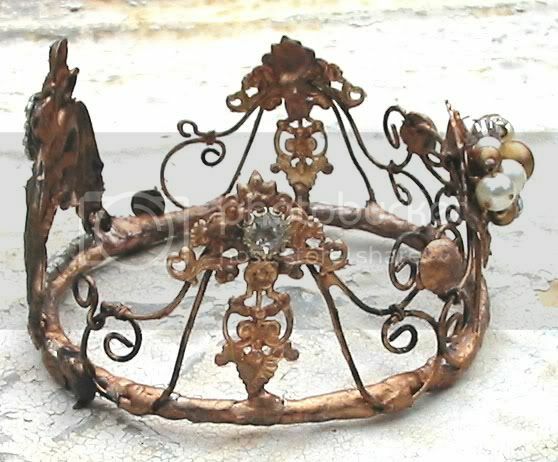 A delightful piece to sit on a shelf...crown thy self "Queen". I have also used Lumiere Bronze( a copper look) paint to finish her up, ready for you, the Queen!!!! Pictures just do not do this justice. If disappointed, I would gladly refund!!! You can check out JoAnnA's website, you'll be happy you did! She is amazing! www.mosshillstudio.com Or to see this crown, type in ZNE Theme Week in ebay search bar. Your blog has some of the most beautiful pictures I've ever seen. Love the artwork and site layout.